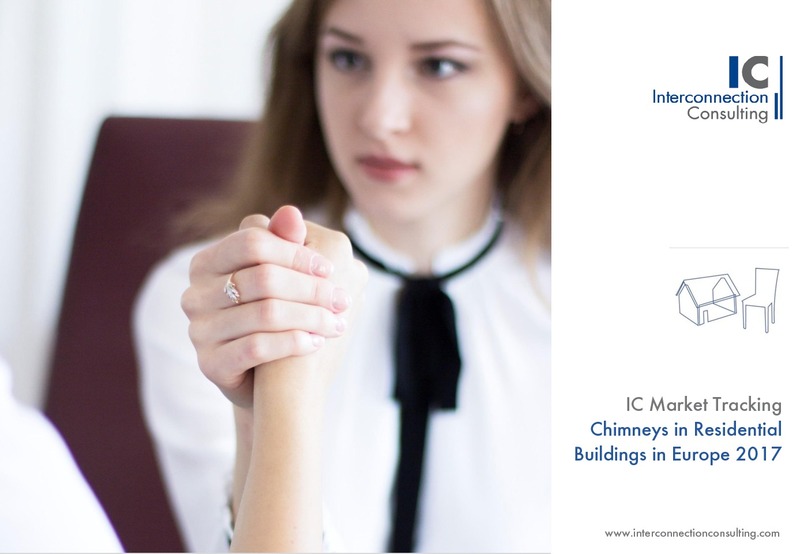 Following several sluggish years, the market for chimney systems in Europe’s six largest markets (Germany, Great Britain, France, Spain, Italy, and Poland) was able to recover in 2017, notching a gain of 7,0%. Since 2016 the market has benefitted from an upswing in construction. Overall, 59.2% of industry sales stemmed from new construction projects, 40.8% from renovations. Of the six markets analyzed, five had a positive growth in the previous year. Poland experienced the largest growth, with a plus of 13.6%. In total, 1.4 million running meters were sold in Poland. Germany is the largest market, with a sales volume of 4.7 million running meters. France trailed just behind with 4.6 million running meters. 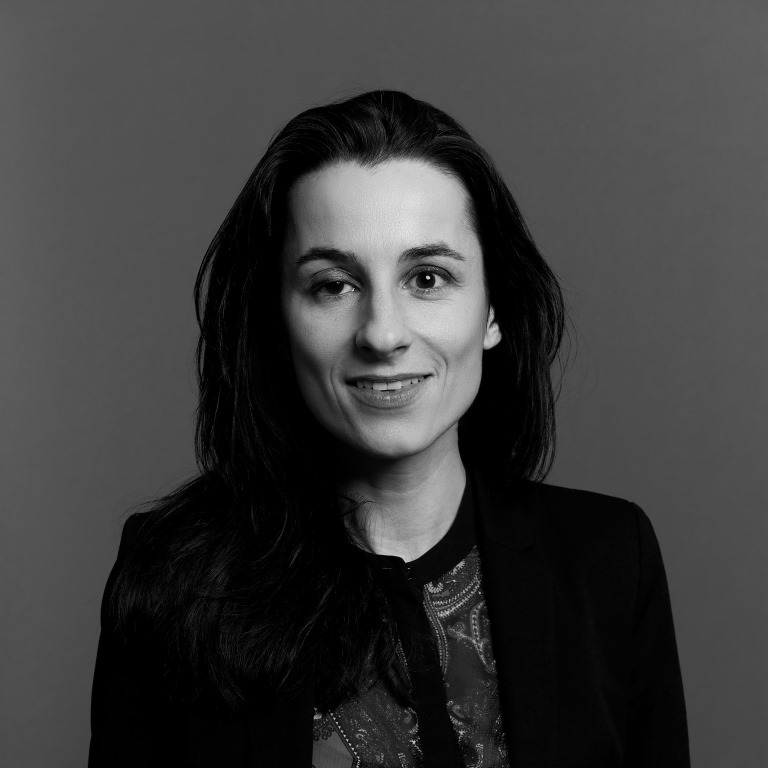 Whereas growth in the German market was 10.7% in 2017, France saw an increase of only 6.0%. Both Italy (7.9%) and Spain (5.8%) could also increase their market volume. Only Great Britain, on account of a weak pound and a highly volatile construction industry, came up short, suffering a 10.7% loss in market volume. In 2017 the most important product groups in terms of sales were steel or stainless steel chimney systems (60.5%), ceramic (18.2%), plastic (16.5%), and brick (0.7%). Steel dominated in Great Britain, France, Spain, and Italy, while in Germany the plastic market captured a market volume share of 58.9%. In Poland, on the other hand, ceramic is the largest segment, with a market share of 54.0%. Overall, stainless steel has remained stable, whereas ceramic and brick have lost in shares. Plastic, however, registered the largest gains overall across the six markets. The growing trend has been towards pre-assembled systems. In terms of overall running meters, pre-assembled systems garnered 57.4% of the market, compared to 42.6% for custom-built systems. 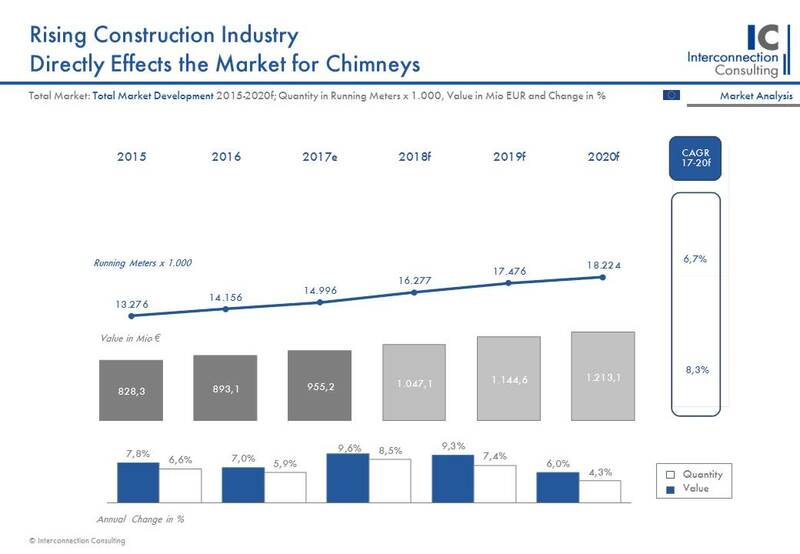 As for the two varieties of chimney systems — balanced flue systems and conventional systems — the growing trend has been for balanced flue systems, which already has a market share of 54.2%. In terms of sales, three- and two-level distribution channels will remain dominant in the future. The three-level distribution channel reached a share of 58% in 2017.